If you’re thinking what? where? who? Thank you Wikipedia, but no thank you. In a nutshell, it’s basically cool things, coming out of nowhere, providing one of the most engaging stimuli possible. 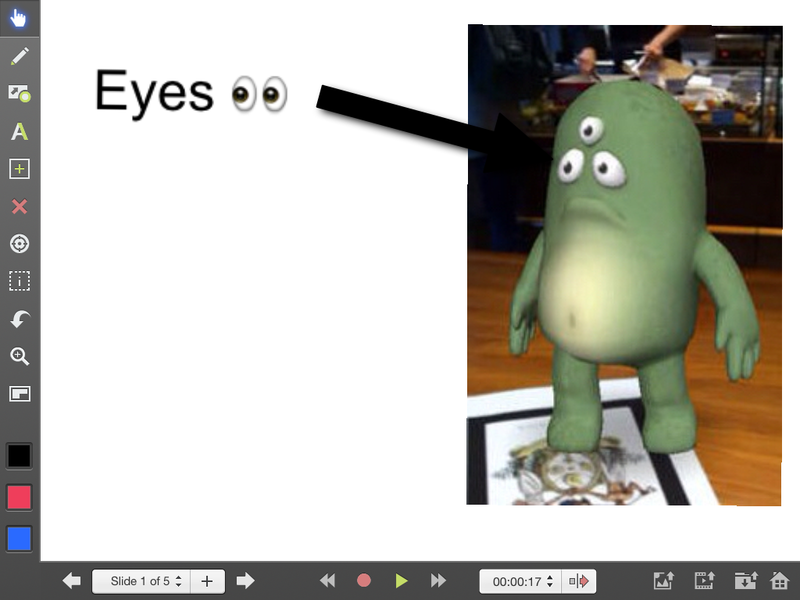 If you’re still unsure, then here’s your stepping stone to using augmented reality in the classroom. Try an app called String. String is a free app which creates augmented reality in four different forms: a dragon, an alien, a trainer to personalise and graffiti free writing. 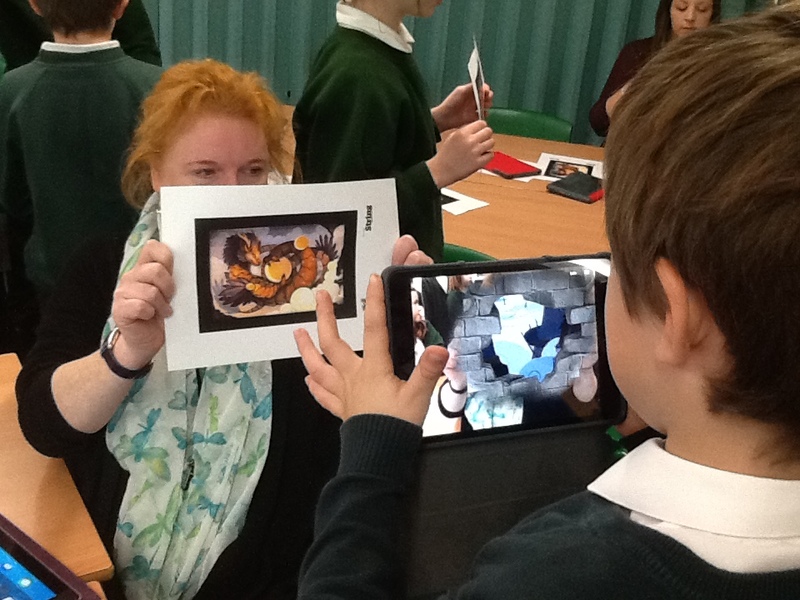 You can find the pictures online here, and each print off provides the stimulus for the augmented reality to take place. The alien I used last week in a year 1 class, as part of their topic of Space. 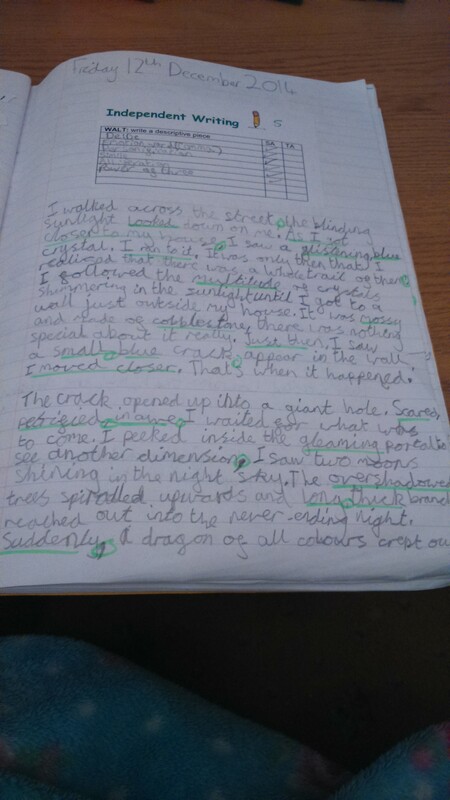 This was used as part of developing their descriptive language. Above anything, their faces when they first saw an alien appear on their tables, painted a picture. If you’re wondering how to incorporate the slightly odd picture to be scanned, it was a postcard, obviously… We gave pupils the opportunity to look at the alien, have their photo taken with it, in preparation for a character description. 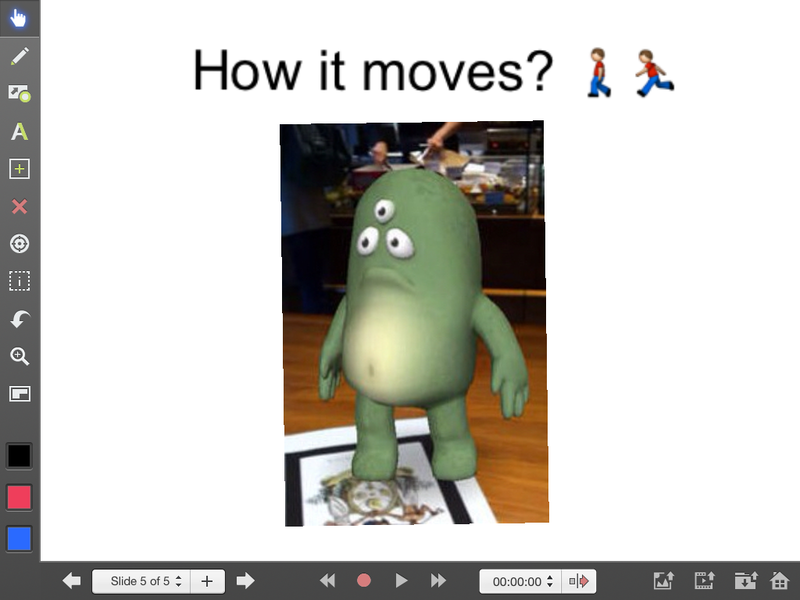 I chose to use this app alongside Explain Everything, another fantastic app, creating a presentation for them to orally record their ideas on. 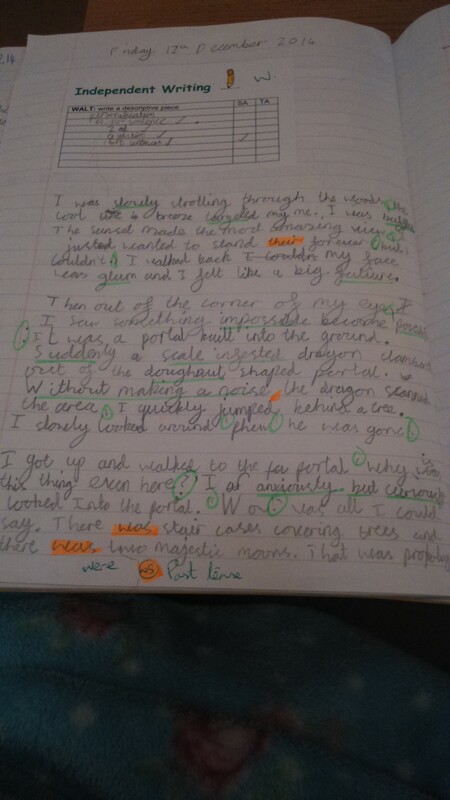 I made this, shared it onto the pupil ipads via Dropbox, then the pupils simply recorded their ideas. If you haven’t used String before, I certainly recommend it!